I've really been enjoying the extra hours of sleep and our more relaxed schedule since school let out. But that's just me, my daughter is the exact opposite. She's been on vacation for just a few weeks and yet she's already learned how to swim, surf and dance. As if that wasn't enough, football and voice lessons are also on her agenda as well as many others. Just talking about it already makes me and my wallet tired but I couldn't be happier or prouder to have raised such a driven little girl! After a year of working hard at school, I think summer is the best time for our children to relax and develop their other talents. It's nice to see her make friends with kids who go to different schools and to witness her bloom with every new achievement she unlocks. My daughter is a multi-achiever and she is happiest when we provide different avenues for her to flourish in. She gets a sense of fulfillment and satisfaction which translates into a confident, radiant and sensitive little girl. 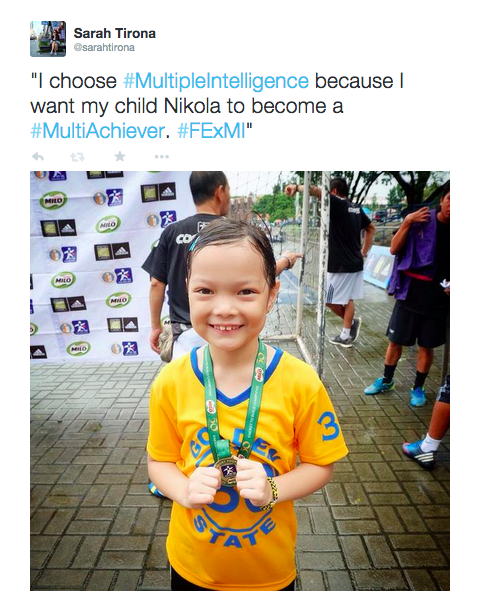 As parents, I think it is our responsibility to develop our child's Multiple Intelligence. Kids are the future and I think it's extra important that we establish them as well-rounded individuals, ready to take on whatever challenges might face them down the road. Thankfully, with advanced science and product development, there is now a milk loaded with GOLD Biofactors System that contains higher levels of DHA, Choline and Lutein which boosts our youngsters ability to not only be Brain Smart but also, Body Smart and People Smart. I would really LOVE to see your kids different achievements. I'm sure there are many especially now that they're all really so "bibo"! 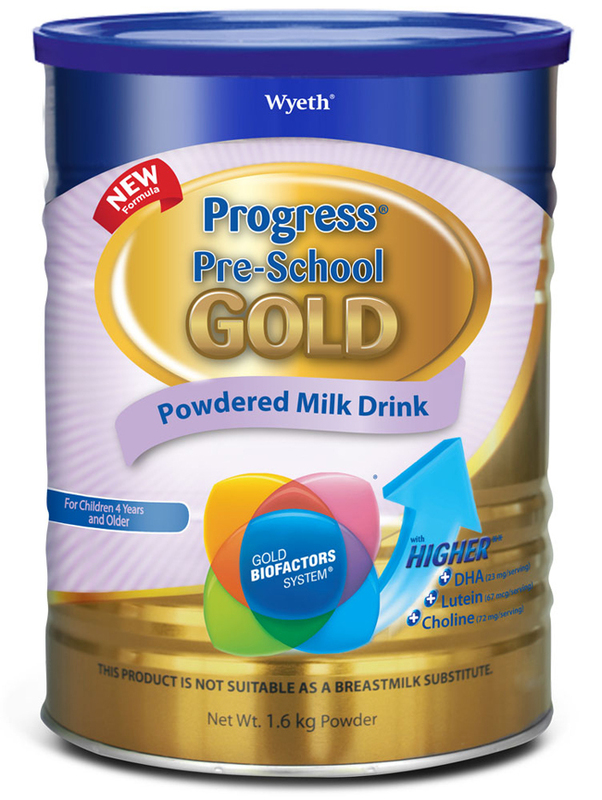 ☺ Mommies and Daddies, please share your photos with me on Twitter for a chance to WIN 3 Progress Pre-School Gold 50g product samples and a National Bookstore Gift Certificate worth PHP300! I will be choosing 2 winners! 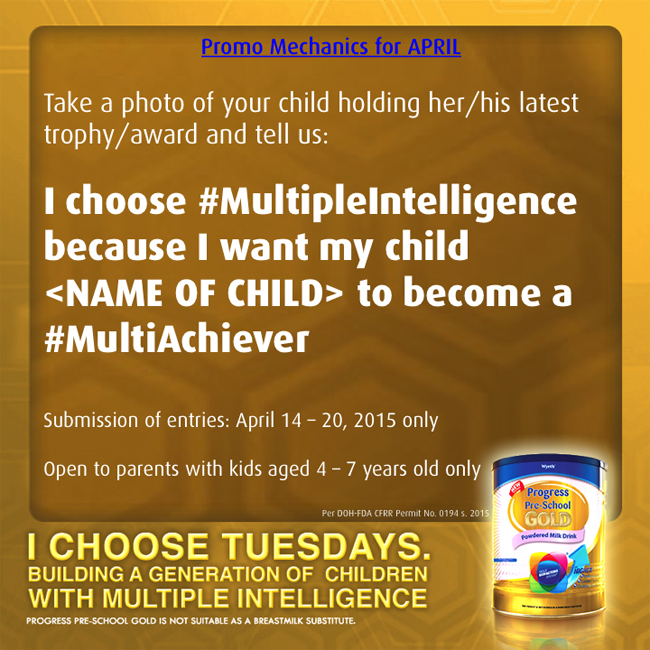 Post a photo on Twitter and caption: "I choose #MultipleIntelligence because I want my child (name of your child) to become a #MultiAchiever. #FExMI"
Leave a comment below with your Tweet link/URL. Congrats to your Nikola! You must be a proud mom. 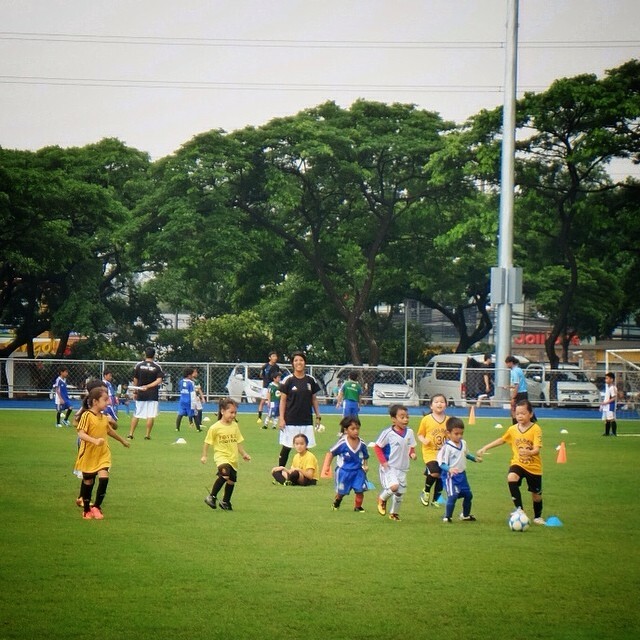 There's nothing more fulfilling than seeing your own kid achieve something. Congratulations to Nikola! She looks so happy with her medal. I love how you're raising her! She's really made the most out of summer (and it's just the middle of April). WOW! 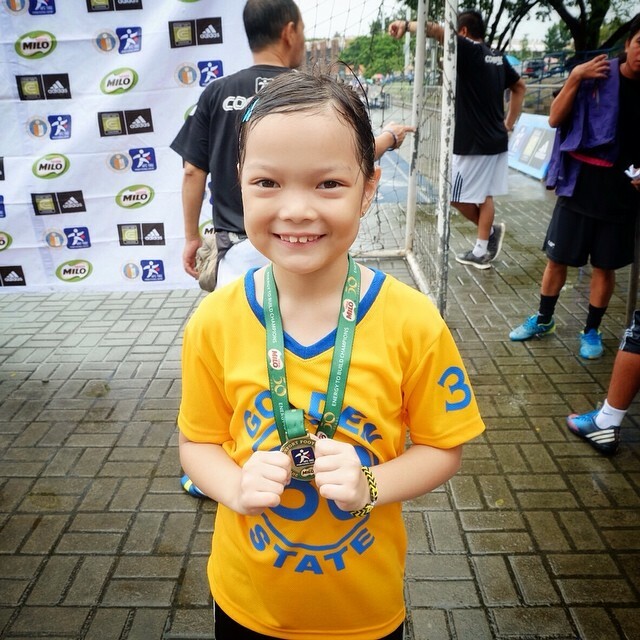 She's really driven and very active -- a multi-achiever indeed! Absolutely agree and hope I can encourage and support my kids more.